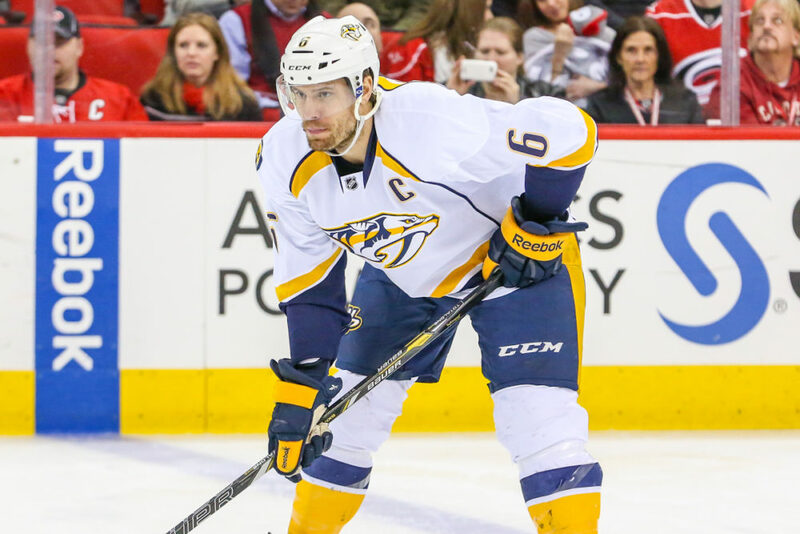 At a glance, Shea Weber’s season is proceeding as per usual. He has four goals in nine games—above pace for him—and he is a plus 6 in goal differential. But a closer look reveals some oddities in the all-star defenseman’s game. Weber is known chiefly for his booming slap shot, which devastates anyone in its path, often including teammates, like the one that ripped through an Olympic net while he played for Canada against Germany in 2010. But that characteristic shot was nowhere to be found at the beginning of the season. Against Ottawa, Weber defied his own conventions, sneaking down to score a goal on a wrap around. The following game, against Dallas, he scored with a soft shot from out front that no one seemed to catch on to until it was in the net. Weber was back to form on his last two goals, including his fourth of the year Wednesday night at Edmonton, which was the classic slapper. But what of the variety of goals Weber has so far scored? Is it an evolution of Weber? Dumb luck? Something else? One thing that is certainly true, the Predators power play has been in all out failure in the early season. The team is 2-for-27 on the season. They went 0-for-5 in a win at home versus Chicago, and 0-for-3 at home in a loss versus Pittsburgh, before going 0-for-1 at the Oilers. Coach Peter Laviolette has been cognizant of this, but for the most part seems to think things will fall into place. Weber clearly doesn’t rely completely on the power play to produce his offense, but the power play struggles, for whatever reason, may be contributing to the relative absence of his slapper. A power play is frequently his best opportunity to unleash the shot because his defensive responsibilities aren’t as great. Why those opportunities aren’t coming to him right now isn’t necessarily clear, although it seems plausible, if not definite, that opposing teams are now much more aware of him than they once were. This may also explain Weber’s hunt for different ways and different times to score. None of this tells us why Weber has just one assist on the season, though. He posted a career high in points last season, scoring 23 goals and 33 assists and presenting perhaps his best chance to date to win the Norris trophy as best defenseman, which he lost to Chicago’s Duncan Keith. Passing is perhaps the least-talked-about aspect of Weber’s game, behind his shot and his physicality, but his ability to rack up assists through rebounded shots or a pass into traffic from the point is a consistent part of his game. Weber trails in points behind his two most-likely competitors for the Norris. Ottawa’s Erik Karlsson has eight points in nine games, and Keith has six points in 10 games. But Weber is a plus 6, while Karlsson is a minus 2 and Keith a plus 5. This early in the season, these statistics are, of course, nearly meaningless. But Weber’s October has definitely proven to be something not quite normal. We’ll wait to see what it means. 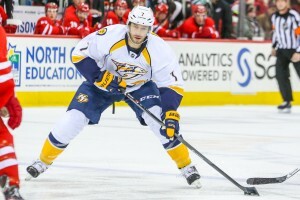 One thing perhaps in the favor of Weber and the entire team is the return of Matt Cullen from injured reserve. 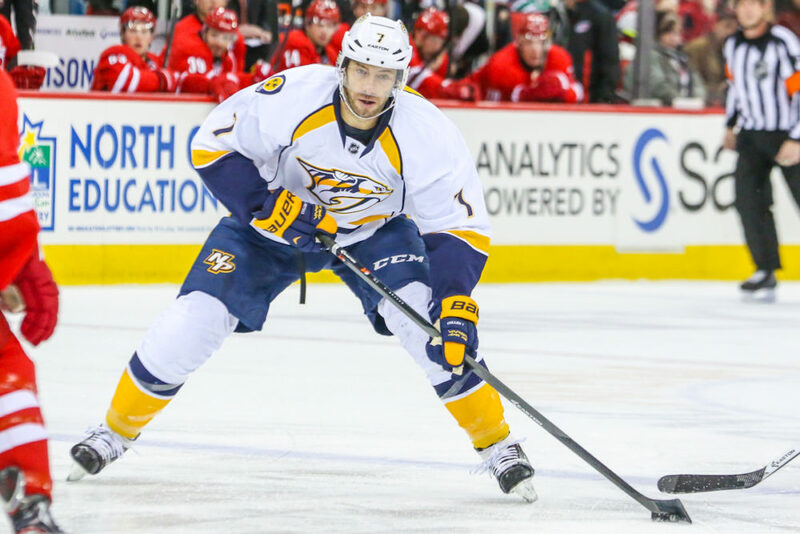 The move required some line shuffling that Laviolette believes will lead to scoring balance. Will it trickle down to the ailing power play? We’ll see about that too.